Moscow, July 22, Interfax - The Moscow Patriarchate has called on those who are involved in the crash of the Malaysian plane in Ukraine to tell the truth about the crash. “It would be so right if the commanders of all missile systems that were in the crash area on July 17 told the whole truth about what they did and saw, if they said it to everyone, to God and people! 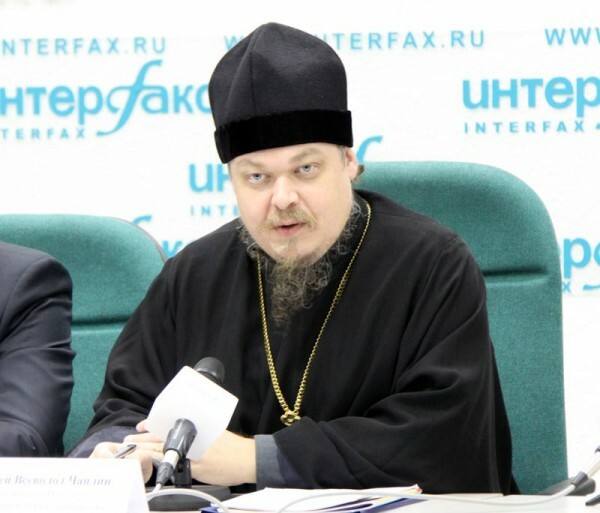 The names of these people should, of course, be known to the leaders of both conflict sides,” Archpriest Vsevolod Chaplin, the head of the Synodal Department for Church and Society Relations, told Interfax-Religion on Tuesday. The same applies to the crew of the plane which is said to have flown near the crashed plane, he said. “If these people did nothing wrong, they should have nothing to hide. If a deadly sin, the killing of hundreds of innocent people, has occurred, it’s better to speak about it than carry the heavy burden of this guilt in the soul,” the priest said. “In the meantime, we should not forget about other victims, specifically, the people killed in Odessa on May 2, whom Western television channels only mentioned a couple of times. People can’t be divided into ‘right’ and ‘wrong,’ ‘useful’ and ‘useless’ following the principle of national identify and political gain,” Father Vsevolod said. He believes the investigation into the Odessa tragedy “is getting too little attention.” “Have people forgotten about it? I would like to hope tat people who were involved in it on both sides will also tell society the truth about what they did and saw,” the priest said. The Malaysia Airlines Boeing 777 en route from Amsterdam (the Netherlands) to Kuala Lumpur (Malaysia) crashed in the Donetsk region on July 17. The crash killed all 298 onboard.